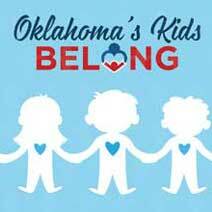 OKLAHOMA CITY, Okla. – Oklahoma’s Kids Belong, a non-profit organization helping children in the foster care system, recently launched activities in the state and announced its inaugural Oklahoma president. Oklahoma’s Kids Belong will build on the work that America’s Kids Belong (AKB), an organization with a national scope, began in 2015 in Oklahoma. AKB unites faith, government, business and creative communities in states to solve the foster care and adoption crisis in the U.S.
Scott Werner has been appointed as president of Oklahoma’s Kids Belong. Werner is a native Oklahoman and owns My Small Wonders Child Development Center in Edmond, Okla., and other Oklahoma real estate investment and management companies. Werner was previously the executive director of children’s ministries at Life.Church and the director of U.S. Church Relations for Compassion International. In Nov. 2015, Oklahoma Governor Mary Fallin launched the “Oklahoma Fosters” campaign, encouraging the entire state to help with the overwhelming need for foster and adoptive families. Gov. Fallin and the Department of Human Services reached out to the community through the Oklahoma Fosters initiative to help DHS recruit more than 1,000 new, safe, loving foster families by the end of June 2016. This initiative was a collaborative effort between the Governor’s office, DHS and essential community partners like the 111 Project, Annie E. Casey Foundation, Count Me in for Kids, private providers, and many other organizations. Through all these efforts, more than 1,080 new families were certified during the year, surpassing the initial goal. America’s Kids Belong is based off of successful models in Colorado, where a statewide movement resulted in the reduction of waiting children from 880 to 200 and Virginia, where 1,041 children were matched with permanent families in 2013. Oklahoma’s Kids Belong (OKB) has the goal to ensure that every child is in a loving home by recruiting more foster and adoptive families, as well as engaging wrap-around support for at-risk, foster and adoptive families along the way. America’s Kids Belong (AKB) is an organization with a national scope that unites government, faith, creative and business communities to end the foster care and adoption crisis in the U.S.